Crystal Debussy and Crystal Ravel 2018 voyages are now open for booking. The sleek new-build river yachts will make their maiden voyages on April 9 and May 10 respectively. 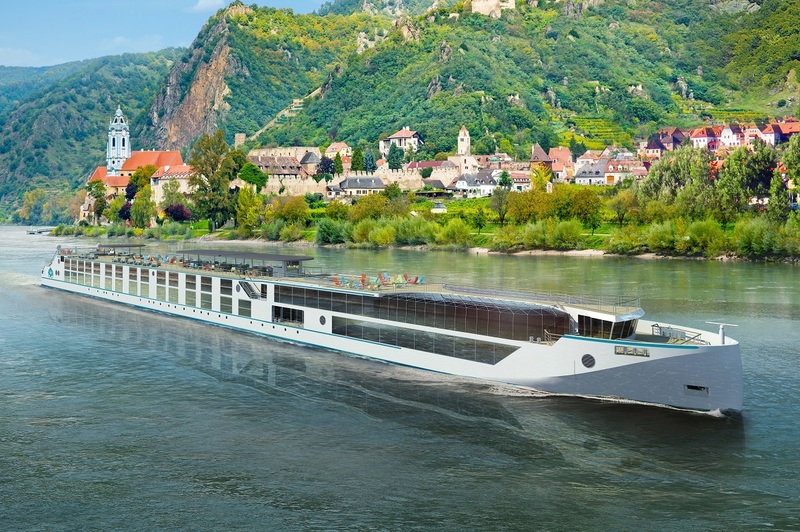 The two vessels will join Crystal Mozart, Crystal Bach and Crystal Mahler on the picturesque waterways through Germany, Austria, Hungary and Slovakia. Crystal Debussy will sail picturesque routes along the Rhine and Moselle rivers between Amsterdam and Basel, visiting some of Germany and Switzerland’s most picturesque locations. Tulips & Windmills, seven nights – Amsterdam (overnight), Rotterdam (overnight), Ghent, Antwerp, Middelburg and return to Amsterdam (overnight). Splendours of the Rhine, 10 nights – Amsterdam (overnight), Cologne, Koblenz (overnight), Rudesheim, Speyer, Kehl, Breisach and Basel (overnight). Legendary Rhine, seven nights – Basel, Kehl, Karlsruhe, Mannheim, Rudesheim (overnight), Koblenz (overnight), Cologne (overnight) and Amsterdam (overnight). Crystal Ravel will offer a varied selection of itineraries along the Rhine, Moselle, Main and Danube rivers, embarking from Vienna, Budapest and Basel and calling in historic locations in Germany, as well as Austria, Hungary, Slovakia and Switzerland. Majestic Europe (Eastbound), 14 nights – Basel (overnight), Kehl, Speyer, Koblenz, Rudesheim, Miltenberg, Wertheim, Wurzburg, Bamberg, Nuremberg, Deggendorf, Passau (overnight), Melk, cruising the Wachau Valley, Krems and Vienna (overnight). Majestic Europe (Westbound), 14 nights – Vienna (overnight), Dürnstein, cruising the Wachau Valley, Melk, Passau (overnight), Deggendorf, Regensburg, Nuremburg, Bamberg, Wurzburg, Miltenburg, Koblenz, Speyer, Kehl and Basel (overnight). Danube Serenade (Southbound), seven nights – Vienna (overnight), Krems, Linz, Melk, cruising the Wachau Valley, Bratislava and Budapest (overnight). Danube Serenade (Northbound), seven nights – Budapest (overnight), Bratislava, Melk, Linz, cruising the Wachau Valley, Krems and Vienna (overnight). The 135-metre river yachts feature a swimming pool with a glass roof; a butler service for every suite, king-sized beds that face towards the Panoramic Balcony-Windows, walk-in closets, dual vanity in the bathrooms in most categories, wall-mounted flat-screen HD TVs and Nespresso machines. 2018 voyages aboard Crystal Debussy and Crystal Ravel start from £2,325 per person.